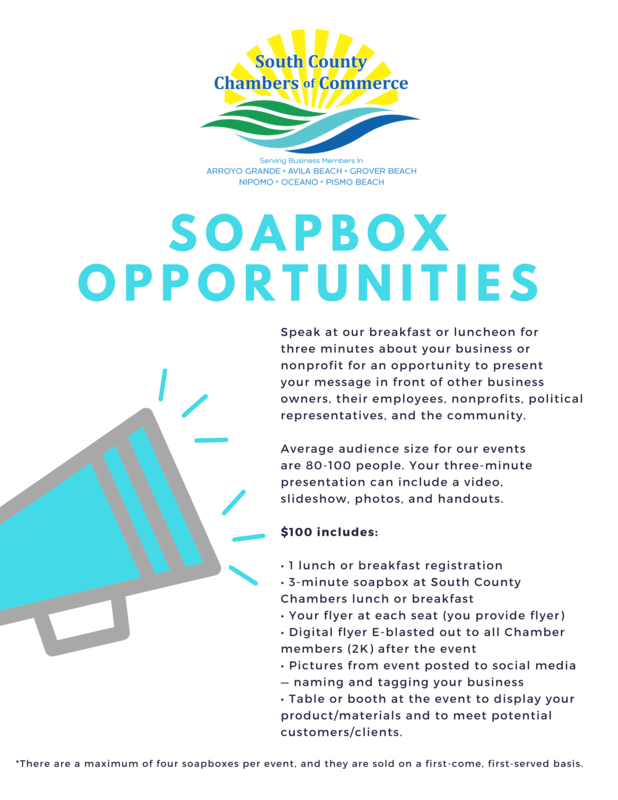 South County Chambers of Commerce January Chamber Mixer. 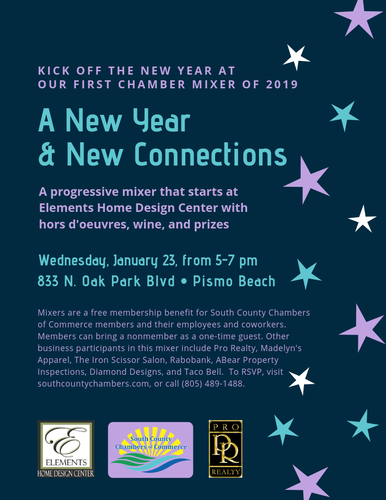 Kick off the New Year at our first Chamber Mixer of 2019- A New Year & New Connections- A progressive mixer that starts with hors d'oeuvres, wine and prizes at Elements Home Design Center. Other businesses who will be participating include Pro Realty, Madelyn's Apparel, The Iron Scissor Salon, Rabobank, ABear Home Inspection, Diamond Designs, and Taco Bell. Mixers are a free membership benefit for South County Chambers of Commerce members and their employees and coworkers. Members can bring a nonmember as a one-time guest.